500 ppm Ca Max. 1500 ppm Al Max. 500 ppm Cl Max. Shanghai Oujin Lithium Industrial Ltd. 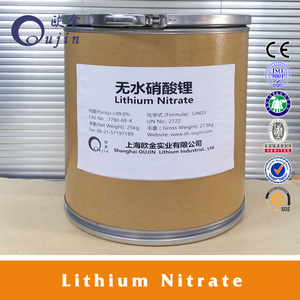 Hot selling high quality Lithium nitrate 7790-69-4 with reasonable price and fast delivery !! Nanjing Taiye Chemical Industry Co., Ltd.
Chongqing Huanan Inorganic Salt Chemical Co., Ltd.
Li2CO3 0.02% max. SO4 0.01% max. Fe2O3 0.002% max. 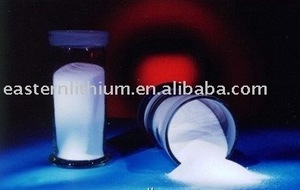 Lithium nitrate Applications and Usages: mainly used as aqueous ammonia stabilizer in refrigeration facility, rocket propellant, oxidizer for fireworks, etching agent for glass, static inhibitors, and as component of molten salts in metallurgical industry. Moreover, it is also employed in the manufacture of fluorophor materials. 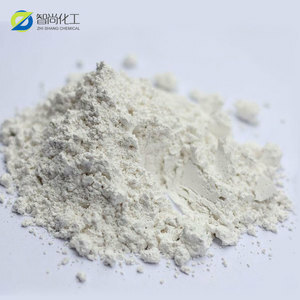 Product Specification: Indexes Trihydrate [LiNO 3 &middot;3H 2 O] Anhydrous [LiNO 3 ] Chemical Pure Industrial Grade Chemical Pure Industrial Grade Content,% &ge; 98.0 96.0 96.0 96.0 Water insoluble,% &le; 0.005 0.01 0.01 0.01 PH value 5.5~7.5 5.0~7.0 --- --- Acid or Base experiment --- --- qualified qualified Weight loss on drying, % &le; --- --- 4.0 4.0 ChlorideCl, % &le; 0.002 0.005 0.003 0.005 PhosphatePO 4 ,% &le; 0.001 0.002 0.002 0.002 SulfateSO 4 ,% &le; 0.005 0.02 0.01 0.1 AmmoniumNH 4 ,% &le; 0.005 --- 0.003 --- BariumBa,% &le; 0.002 0.003 0.005 0.02 Calcium Ca,% &le; 0.002 0.005 0.005 0.06 MagnesiumMg,% &le; 0.01 --- 0.01 --- FerrumFe,% &le; 0.0005 0.001 0.002 0.002 Potassium and sodiumbased on chloride,% &le; 0.04 0.1 0.05 0.5 Heavy metal Contentbased on Pd,% &le; 0.001 0.002 0.001 0.001 Packaging: 25 kg/bag, plastic inside and knitting bag outside, or in terms of customers' requirements. 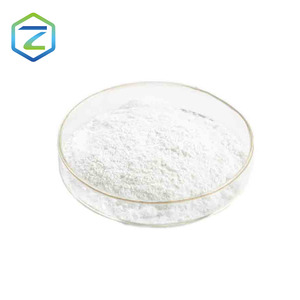 Xiaxian Yunli Chemicals Co., Ltd.
Silver nitrate CAS 7761-88-8 introduction of our products Silver Nitrate 1. manufacturer for Chemical Reagents. 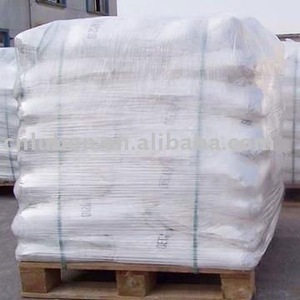 2. packing could be as your order 3. good quality 4.delivery fast Name: Silver Nitrate MF: AgNO 3 MW: 169.87 CAS: 7761-88-8 EINECS: 231-853-9 Brand Name: WENDA Place of Origin: jinan China (Mainland) Physical and chemical property: Density: 4.352 Melting point: 212 &ordm;C Boiling point: 444 &ordm;C Water solube: 219 G/100 ML (20 &ordm;C) Dangerous mark: O;C;N Hazard class: R34;R50/53;R8 Use: Used in plating, important material for producing catalyst, other silver compounds and paste Storage conditions: Stored in a cool and dry place, away from the fire, heat source. Specification : Item Standard silver nitrate% &ge;99.8 Silver contact % &ge;63.5 Insoluble matter in water% &le;0. 005 Chloride(Cl)% &le;0. 001 Sulfate(SO4) % &le;0. 004 Iron(Fe)% &le;0. 0004 Copper(Cu)% &le;0. 001 Lead(Pb)% &le;0. 001 our product photos Thank you for your attention. 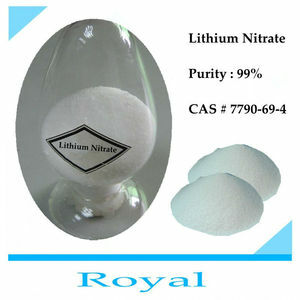 Factory supply Lithium nitrate CAS:7790-69-4 with lowest price!!! 600 easy to dissolve in waterethanolaether and acetone. Application : Strong oxidizing agent; corrosion inhibitor ,e.g. Pls write email for quotation,specification, delivery time. etc. Thanks. 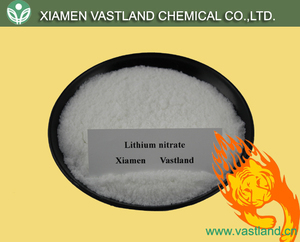 Alibaba.com offers 272 lithium nitrate products. About 36% of these are nitrate, 4% are other inorganic salts. A wide variety of lithium nitrate options are available to you, such as agriculture grade, industrial grade, and electron grade. You can also choose from calcium nitrate, sodium nitrate. As well as from free samples, paid samples. 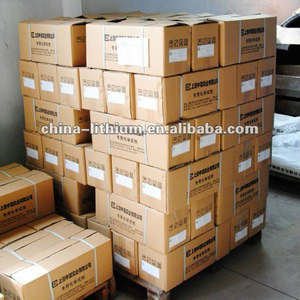 There are 187 lithium nitrate suppliers, mainly located in Asia. The top supplying countries are China (Mainland), Singapore, and India, which supply 92%, 4%, and 1% of lithium nitrate respectively. Lithium nitrate products are most popular in North America, Western Europe, and Eastern Asia. You can ensure product safety by selecting from certified suppliers, including 76 with ISO9001, 35 with ISO14001, and 5 with Other certification.